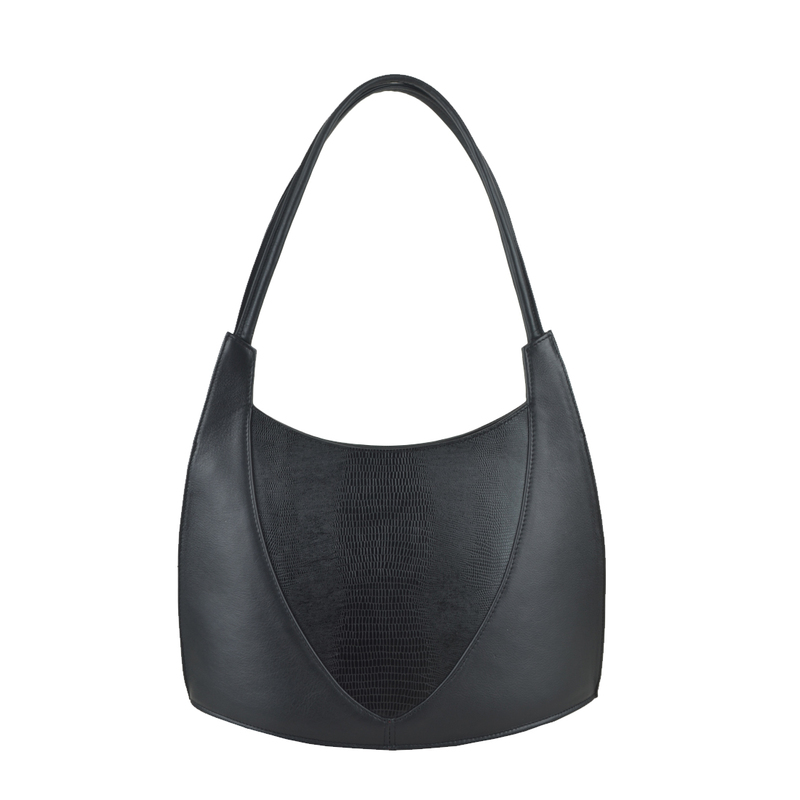 The elegant structured smart shoulder bag in black print has contrasting panels with very simple clean lines following the contour of the body. 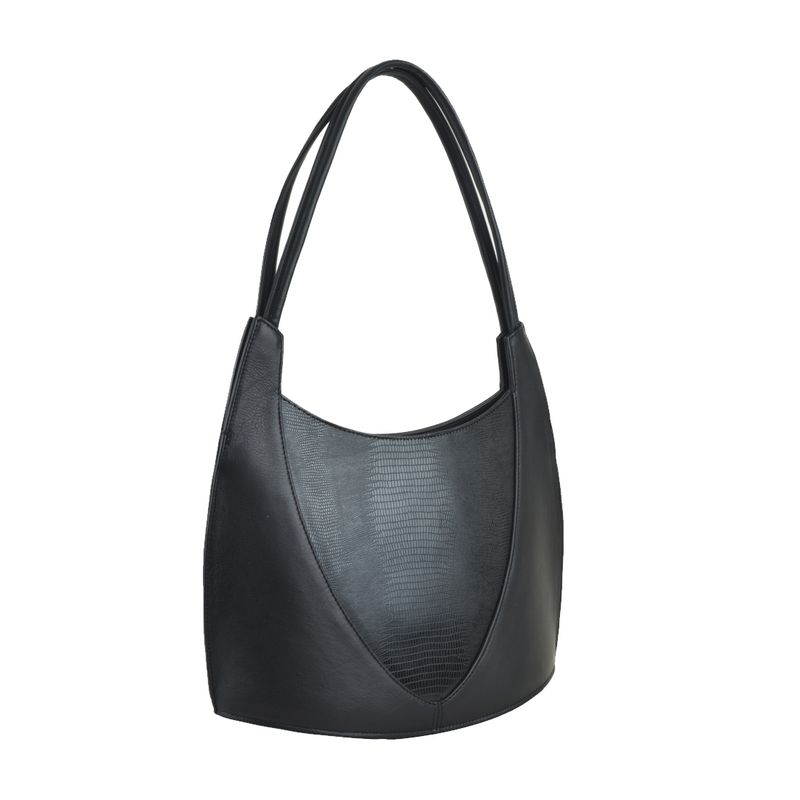 The Frida leather shoulder handbag is a fantastic bag for day wear or smart occasions. It has a zip top closure. 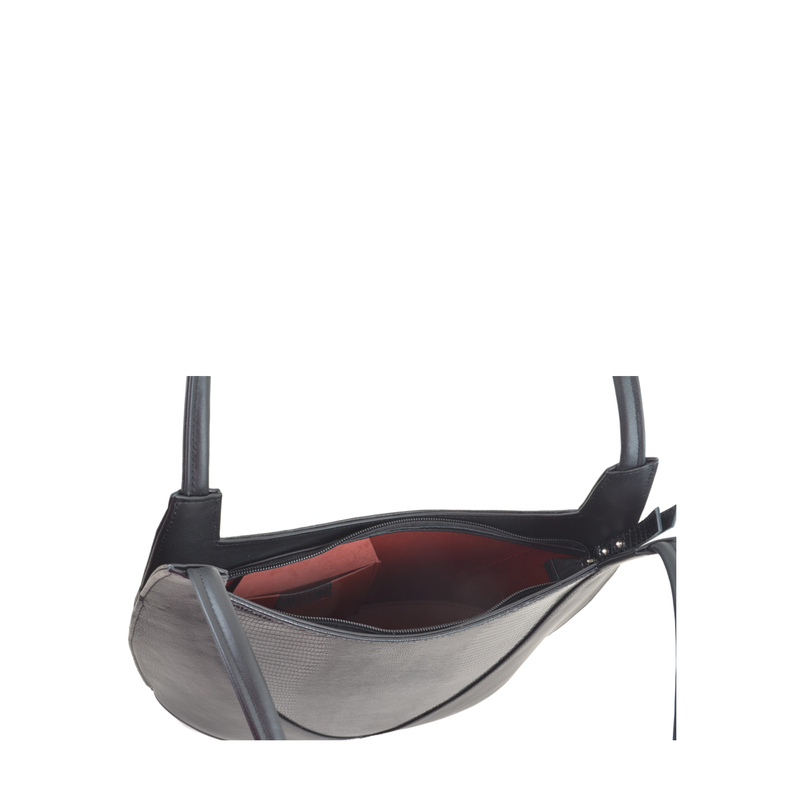 All leather lined with inside zip pocket and mobile phone holder.